Use this little log to store your accessories in the compartment below! Totoro perches on top of the case while holding an adorable flower trumpet. Measures 6 1/2-inches wide x 4 3/4-inches wide. Ages 15 and up. 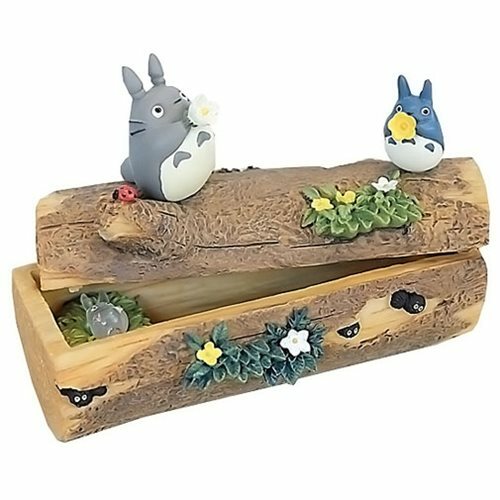 This is a must have for Studio Ghibli and My Neighbor Totoro fans.